Welsh Telecom can solve these problems, cabled network systems and wireless access systems can be designed and installed professionally by extending and boosting the current range of your wifi to outbuildings. All systems will be protected with the best possible security. 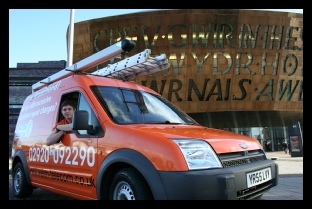 Currently based in South Wales, Welsh Telecom provide a personal, professional and quality service. They are an easily accessible independent telephone engineer and specialise is smaller short duration jobs so can respond very quickly to any enquiries, often on the same day. Not only WIFI, Welsh Telecom offer many telecommunications services such as Telephone Extensions, Broadband Optimization, Wifi solutions, CCTV, Business Telephone systems and much more.